We had a little dinner party with friends on the weekend and I wanted to set a nice table, that wasn’t fall and wasn’t Christmas, since we’re in that weird in between stage. 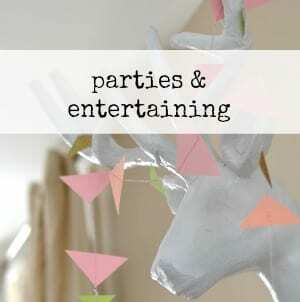 I wanted to use butcher paper, so here’s what I came up with. 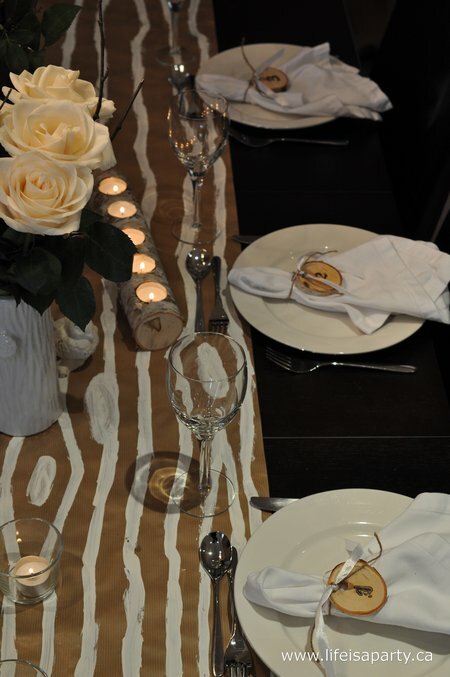 I painted white bark lines on to the paper to create a fun table runner. I’d been eyeing these great President’s Choice vases for awhile, so this was just the occasion for me to pick some up. 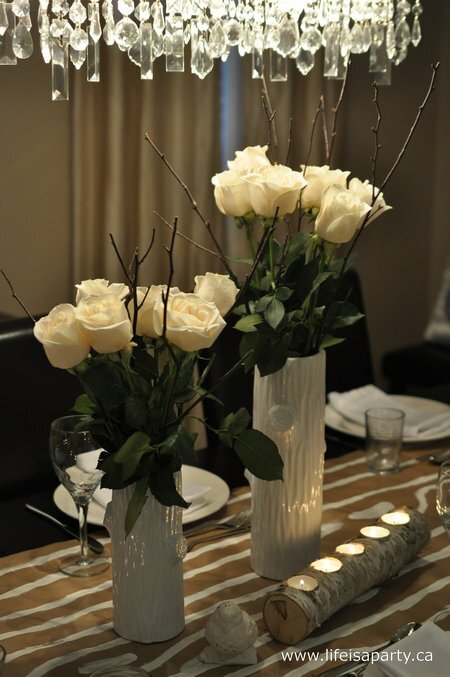 I filled them with simple roses -that were on sale this weekend, yay, and dark birch twigs. Love, love how it turned out. 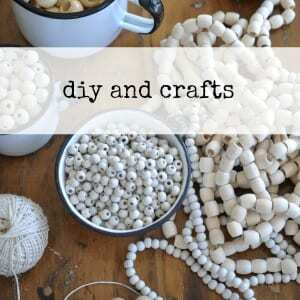 I used simple white plates and glassware, and white cotton napkins. 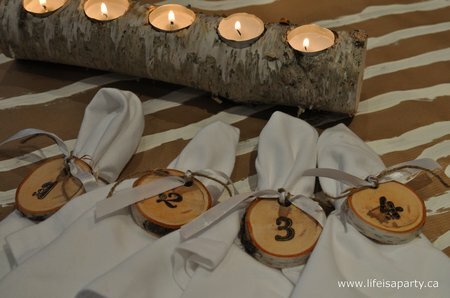 I had a fun idea to make napkin tags to go with our wood theme. 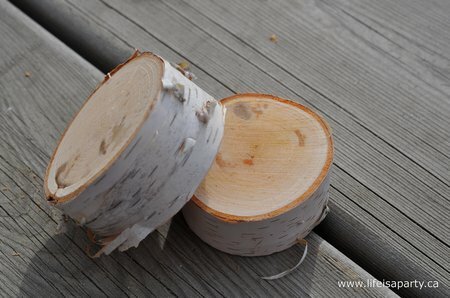 I had a stick of birch left over from my fall outdoor arrangement, remember it from here. I sent my husband over to my brother-in-laws who has a saw in his basement and lives near by -great combo. 😉 While I worked on other details for the dinner, my hubs did the cutting. He came back with these. Clearly I hadn’t described too well what I wanted to make. These were too thick to use as little tags. So, back the good hearted guy went to try again. While he was gone re-cutting, I worked on another idea. 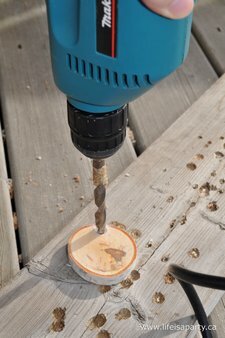 We used a drill to make holes for tea lights. The first attempt was a little crocked, attempt number two involved a little measurement and came out great. Our friends were due at 4, it was around 2:45ish then, and we hadn’t started cooking yet. Unfortunately he ran out of wood for the re-cuts, and we were running out of time. Sometimes things don’t work out exactly how we have them in our minds, and that’s when I need to remind myself that things don’t need to be perfect, they need to be fun! So, I’m happy to report a good time was had by all despite the lack of napkin tags -lol. The next day I did the four napkin tags that he did manage to cut. 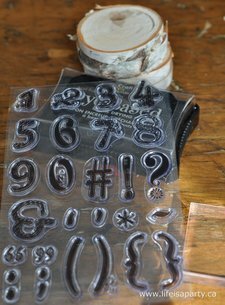 I just drilled a little hole in the top and used a rubber stamp to add a number to each one. Love how they turned out. 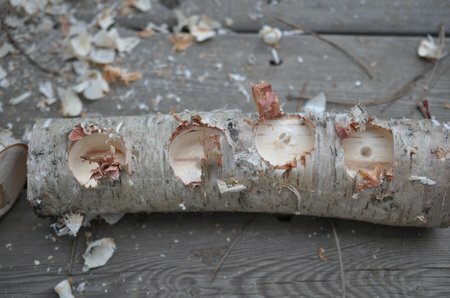 Maybe we’ll be able to make some more later, since I’m planning a woodland themed Christmas this year. I love the simplicity of this table, and how the white made it feel modern. Life is what we make it, so we may as well make it a party! 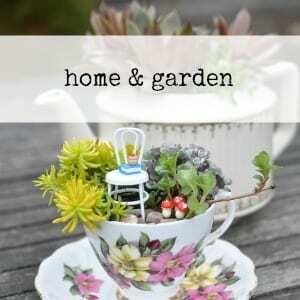 This post is linked up at The 36th Avenue, Between Naps on the Porch, Savvy Southern Style, The French Country Cottage, The Artsy Girl Connection, Craftberry Bush, House of Hepworths, Bloom, Tatertots and Jello, Whipperberry, Tidy Mom, and French Country Cottage. 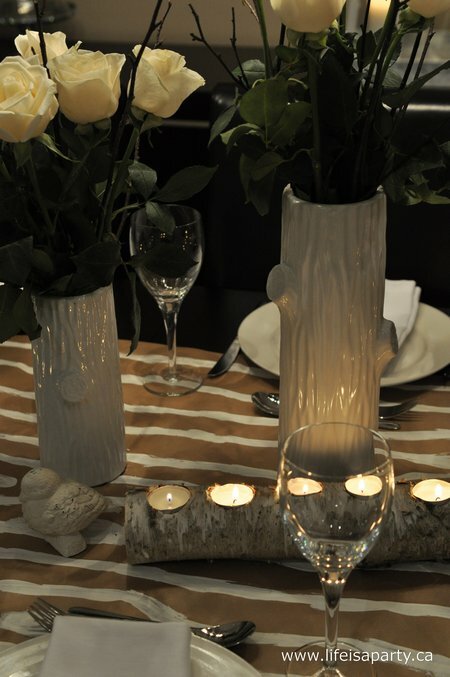 Great idea of adding butcher paper with white stripes for a table runner! Your husband is so ssweet to help with your name tags and the are super cute. 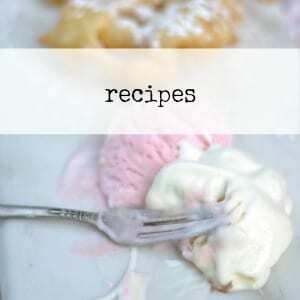 Glad your dinner was a success! 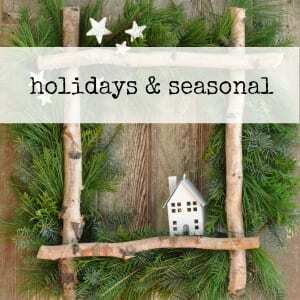 Your table looks so pretty and cozy. Well done. 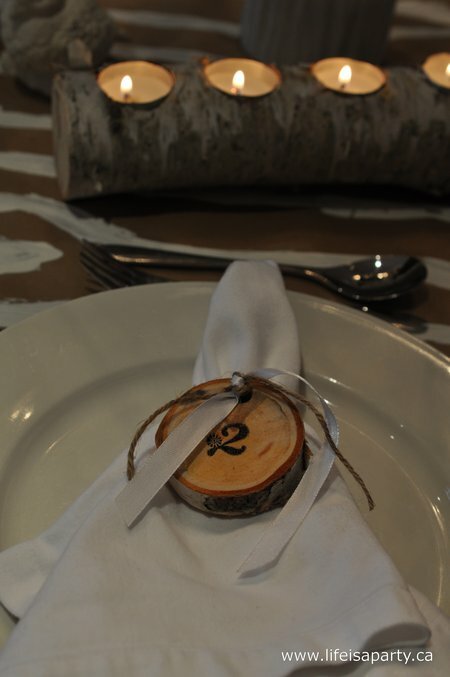 Love the birch napkin ring tags, so simple and sweet. Beautiful job!